Herz three-way mixing and diverting valves are suitable for the constant control of cool and hot water. 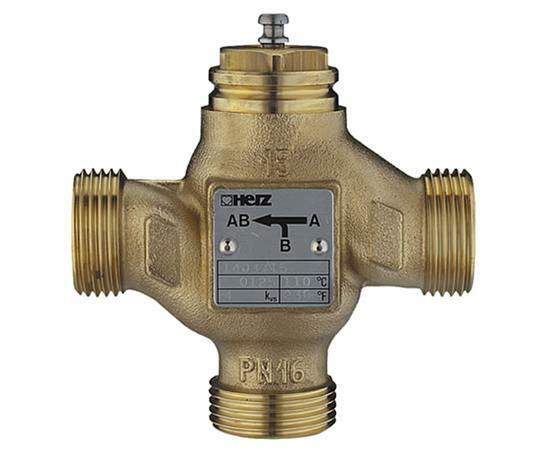 Valves are mounted in pipe system according to application (mixing or diverting valve) by means of commercial standard screw connections with flat seals. The spindle is made of stainless steel, with a brass valve cone and glass fibre reinforced Teflon sealing. There are no sealing edges, which makes the valves leak-free. Even after long service the leakage rate will be minimal.